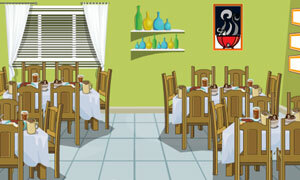 Escape from The Cafe is point and click, escape game by 123bee. Detect the useful hints, object around the place and utilize them to help the customer come out of the locked Cafe. Good luck and have fun.